Home › New Covenant › When Do We Eat the Passover Supper, According to Scripture? One of the major Biblical practises being restored today is the celebration of the true Passover — that is, the celebration of Passover in the manner and timing that is according to all of Scripture. 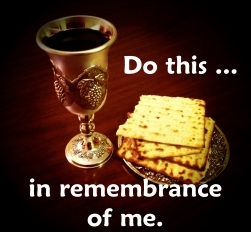 Rabbinic Tradition has created a “7-day Passover Feast” as a substitute for the 1-day Passover, giving the name ‘Passover’ to the 7-day Feast of Unleavened. There is both Scriptural and historical evidence for this man-made substitution, discussed below in this article. Both of these ‘substitute’ Passover celebrations are what we might call counterfeit. And, like holding a counterfeit bank note or property deed, the practise of a counterfeit ‘Passover’ holds no value, and offers no reward. We have already described Christianity’s substitute Passover in two articles, Communion: A Man-Made Substitute for the Biblical Passover, and Eating Things Sacrificed to Idols: A Warning to the Bride. We have also given detailed accounts of issues regarding the Biblical Passover in a number of short articles, as compiled in The New Covenant Passover: A Mystery. Let us now focus our attention on the proper timing of the Biblical Passover Supper. Today there is much confusion and division occurring today among Believers, as to when we are to eat the Passover Memorial Supper. How do we determine the proper time according to Scripture? To answer this question, we must begin by looking in context of the bigger picture. We must first understand that Yahuweh has promised to bring about the restoration of all things (Isaiah 1:26, 58:12; Joel 2:25; Acts 3:21). This Restoration began with Messiah’s first coming, and is rapidly accelerating today, just prior to Messiah’s return. Some of the hallmarks of Restoration include repentance, and preparing the Way of Messiah — by identifying and removing the stumbling-blocks that prevent men from walking with Messiah in the Way of Righteousness (Isaiah 40:3; 57:14; 62:10; Mal 3:1). As part of this Restoration, Father is calling His people away from their own understanding, and out from the darkness of man-made traditions, and into the marvellous light of His Truth. This call to holiness [‘separation’] creates a separation [a division and disunity] among Believers, concerning what is Scriptural, and what is not. As many can attest, there is great disunity and division among Believers today, not only in when to eat the Passover Supper, but in various other issues of tradition and practise, which separate and divide. This division, however, is like the division that occurred in Gideon’s army of thirty-two thousand men (Judges 7:1-8). We recall that first the twenty-two thousand were divided from the army, with ten thousand remaining. Then the ten thousand were divided into two groups of 9700 and 300, based on how they drank the water. Notice it was Yahuweh Himself who instructed Gideon in order for this division to take place, but it was the actions of the men themselves that determined which group they would be a part of. The division occurring today in the current Restoration is also of Yahuweh. In this division, those who ‘drink the water’ of the Word in one way, are being separated from those who ‘drink the water’ in a different way. Those who hold fast to Scripture alone, as revealed by the Spirit of Messiah, are being separated and divided from those who continue in man-made doctrines and Rabbinic Tradition. Father is seeking His own ‘army of 300’ as it were. Those who seek the truths of Yahuweh through the Scriptures alone, must look to the Torah and to the Testimony (Isaiah 8:20). That is, they must find the ‘Torah basis’ of the issue in question, and must find the agreement with the Testimony of Messiah, the New Testament record of His words and examples, and those of His Disciples. It is only in this way that we can find the truth of an issue for ourselves, and not be turned aside by the many traditions and ‘doctrines of men’ that are put forth as Biblical truth today. The same holds true for determining the proper time to eat the Passover Memorial meal. Father is restoring the proper timing of Passover today, which is identical to the timing of the original Passover in Egypt, and also identical to the Passover Yahushua observed. So in order to find that timing, we must find the Scriptural basis for the Passover, both in the Torah and in the Testimony. The ‘Torah basis’ for the Passover is found in a number of places in the Torah, the Prophets, and the Writings [the T-N-K, or ‘Tanak’]. The Torah accounts are plainly evident in most points, but are ‘hidden-in-plain-view’ in a few other points. For example, as to the Torah account of the Passover, we are told that the Israelites in Egypt remained in their houses until morning (Ex 12:22; Ex 12:50), and that they left Egypt in the 15th day of the first month, at night (Num 33:3; Deut 16:1). If the Israelites in Egypt killed the Passover lamb on the afternoon of the 14th, and then ate the lamb on the night of the 15th, as commonly practised today, they could not leave Egypt in the night of the 15th, yet still remain in their houses until the next morning of the 15th, as they were told to do. If they had waited until the night of the 15th to sprinkle the blood on the doorposts, and then eat the lamb that same night of the 15th, they would have had no blood on the doorposts on the night of the 14th, and all their firstborn would have died — because Scripture tells us (Ex 12:12,23) that Yahuweh came through at midnight to smite all the firstborn, while the Israelites were still in their houses. The only scenario that fits all Scripture, is for the Israelites to kill the lamb, sprinkle the blood, and eat the lamb, all on the night of the 14th [when all the firstborn of Egypt were being killed], while remaining in their houses until the next morning of the 14th. They would then spoil the Egyptians on the morning of the 14th, gather in Rameses on the afternoon of the 14th, and leave Egypt after sunset, the night of the 15th, according to Scripture. And this brings us to the Testimony. The key that unlocks the few ‘hidden-in-plain-view’ parts of the Torah basis for Passover is the Testimony of Messiah — that is, the words and examples of Messiah and His Disciples regarding the Passover. Messiah clearly tells us He will keep the Passover with His Disciples (Mat 26:17,18; Mark 14:14,16; Luke 22:11,13,15). By His words, and by His demonstration of keeping the Passover, Yahushua demonstrated and revealed to us the timing, and the many covenant issues, of the very important Passover Memorial Supper. 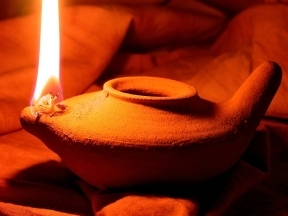 The apostle Paul then confirms for us which night the Passover meal is to occur, as he reminds us of Messiah’s example for us — that Messiah took the bread and the cup “in the same night in which he was betrayed…” (1Co 11:23-25). But why is it, that many Believers continue to eat a ‘passover’ Supper on the night of the fifteenth, as part of the Feast of Unleavened, rather than the night of the fourteenth — as mandated by Torah, practised by Yahushua, and confirmed to us by the words of the apostle Paul? —(Encyclopaedia Judaica, Second Edition, Vol. 15, p. 680) [emphasis added]. As we see in the above passage, Yahuweh Himself was the one who removed, destroyed, caused to be forgotten, the proper keeping of His moadim, His Feast-days. And as it was in Yahushua’s day, so it is even today — that those who follow Rabbinic Tradition do not even celebrate the Biblical Passover held on the 14th day of the first month, but instead keep only the Feast of Unleavened on the fifteenth, calling it ‘Passover’ (Luke 22:1). From the above Scripture passages and historical account, we can easily understand how even in Messiah’s day, the Passover had evolved, from the time of the exile to the present, into a ‘hybrid’ celebration, in which the Passover sacrifice was slaughtered on the 14th day, and then eaten at night after the start of the 15th, coinciding with the Feast of Unleavened. As we have shown in The Mystery of Passover: Which Day-Truth or Tradition Part 5: Timing of Biblical Passover Meal Revealed By Comparing Torah Requirements, Passover and the Feast of Unleavened are actually, according to Scripture, two separate Feasts [‘chagim’], each with its own unique memorial and prophetic meaning — and that each feast has separate and unique requirements as to timing, location, sacrificial animal, and other details unique to each Feast. We can also understand that because Messiah came to restore all things, by His being obedient to Torah in every way, He became the living example for His Disciples for all time. His example shows us how Passover [and the other moadim] are being restored even today to their rightful place, and to their rightful time of celebration, each in its own day, as appointed by our Abba Father (Lev 23:37), with each of the moadim in full agreement with the words of Torah. It is thus Messiah’s words, and His example in all things, that we must hold as supreme, if we are to be a part of His restoration in this generation. For it is only by Messiah’s words, and by His examples, that we are able to discern the Truths of Torah from the traditions of men. It is important to note that those following the timing according to Rabbinic tradition do not observe the Biblical Passover according to Messiah’s example and Paul’s instructions. Instead, tradition observes only the Feast of Unleavened in the night of the 15th, “which [by tradition] is called Passover” (Luke 22:1). So, how do we determine the Biblical timing of Passover? There is very much to consider in the Tanak, but there are some New Testament passages that make it more clear. First, we must understand that Messiah is looking for those who follow Him in all things. Nevertheless, there are many sincere Believers who find it difficult to understand and follow Messiah in the Passover. Messiah tells us, and then demonstrates for us, that He held the Passover Memorial Meal with His disciples before He is to suffer (Luke 22:15). Those who follow Messiah will choose to eat the bread, and drink the cup, just as Messiah and His disciples did — the night before he suffered, the night before He was crucified. But some Believers find this timing confusing. For many Believers, Messiah’s words and actions do not seem to line up with their ‘perception’ of what the Torah teaches about this timing. Perhaps this is why the apostle Paul tells us, “You be followers of me, as I follow Messiah” (1Co 4:16, 11:1; Php 3:17). Paul is telling us that if we follow his words and life examples, we will be following Messiah according to Torah. But who was the apostle Paul? First, he knew the Torah, and speaks to those who know Torah (Romans 7:1). Next, we see that Paul believed [was a ‘DO-er’ of] all the Torah and the Prophets (Acts 21:24; Acts 24:14), and he himself was a prophet (Acts 13:1). Paul was thus able to correlate Messiah’s words and actions with all the words of the Scriptures. Paul’s epistles are simply a prophetic commentary on practical Torah living. In the above passage, the apostle Paul reminds Believers that Messiah and His disciples held the Passover meal in “the same night” in which He was betrayed — in the night before He suffered, and before He was crucified. Although this timing is contrary to Rabbinic tradition today, this is the timing that the apostle Paul received from Messiah, and then passed down to us for our example, and for our instruction (1Corinthians 11:23a). The restoring of the proper timing of Passover is just one of many examples we see today of the promised restoration of all things (Acts 3:21), the restoring of Biblical truths to their original purity in the lives of Believers, immediately prior to Messiah’s return. Again, it is because we are undergoing the separation and division as a part of Father’s Restoration, that we see much confusion and division occurring today among Believers — between the many viewpoints on the one hand, and the one true Way on the other hand. We must remember, that wherever we see turbulence, turmoil, and conflict, there is usually the Way of Truth nearby. Our goal is to be separated into that ‘army of 300,’ the remnant group who are holding fast to walking in the Way of Truth — the lifestyle that is in agreement with all of Messiah’s words and life examples. Let us also remember, however, that we are walking in the Way of Truth, only to the degree that we allow the words and life of Messiah to be lived out in our daily walk, when in agreement with all of Scripture. The answer is simple! If we do not fully understand Messiah’s words, let us then endeavour to follow Paul’s words, and we will not be deceived! Let us then eat the Passover Meal according to the words and example of Yahushua and the apostle Paul — in “the same night” in which Messiah was betrayed, the same night before He suffered — the night before He was crucified. This is when we Eat the Passover Supper — According to Scripture. My home is Israel, but I reside afar off in the states. Since I am not in the land according to the Scriptures, should I not keep Pesach on the second month on the fourteenth? Thank you Patti, for your insightful question. We recall that the first Passover took place in Egypt in the first month, and this was not in the Land of Israel (Ex 12:2-3). The Israelites also kept the Passover in the wilderness (Num 9:4-5), and this too was in the first month, but not in the Land. The second month [‘second chance’] Passover was also begun in the wilderness (Num 9:6-14), before Israel entered the Land, and reveals the mercy of Yah, and also the great importance for Messiah’s followers to keep Passover. When we plan to keep it in the first month, but we are not able to keep it according to plan in the first month, then the 2nd month Passover becomes an available option. If we plan on the 2nd month, however, but we are not able to keep it according to plan, then we have no ‘second chance’ available. For those not in the Land, keeping Passover in either the first or second month would be according to Scripture. I have a lot of respect for your writings. I often refer to them when I am looking for answers and I usually find agreement with you. I just wanted to make a comment here, although I do agree with you on when the Passover meal should be eaten. I am not as much making a comment as asking a question. Was not the reason for the blood on the doorposts, so that the Israelites homes would be passed over when the destroying angel came to kill all of the firstborn of Egypt? And if this were the case, then they would not have had their children killed, because they had the cross emblazoned on their doorpost in lambs blood. Yes, you are absolutely right. I suppose I used some ambiguous wording in making that point. My intention was to show that if the Israelites put the blood upon the doorposts at the right time, they would certainly be protected. But if they were to wait another 24 hours (into the night of the 15th) to put the blood on the doorposts, that blood would have been ‘too late’ to protect them from what happened 24 hours earlier, during the night of the 14th. The illustration is intended to show the importance of ‘timing’ as part of our obedience. Thank you for your comment and question! Thank You for clarifying your point to me. I find that your writings and posts accurately reflect most if not all of what I believe and try to practice in my life. May Grace and Peace Abound with you and within you always.